Whether you’re a first-time competitor or a reigning champion there is always room for improvement. For many of our drivers in the PPIR Time Attack Series, this is a first glimpse into what real motorsports competition looks like and in any form of motorsports there are always drivers that stand one step above the rest. Fortunately for many of us our track pros are always willing to lend a hand to those who ask. However, it isn’t always easy trying to teach somebody how to improve in just a matter of minutes. Driving on the limit is something that requires years of trial and error. Well, it is time to get schooled! The Time Attack Series presented by Heuberger Motors at Pikes Peak International Raceway (PPIR) is back in 2019 and better than ever with new features, a series long competition and prizes. 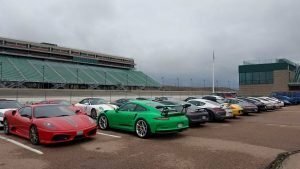 Occurring once a month, from February through October, ten events will take place in various configurations on the infield road course at PPIR. The courses are designed for drivers of all skill levels to test and sharpen their skills in their own vehicles. Helmets will be available for rent, enabling new participants who don’t have helmets to easily try these activities for the first time. Find all details for the Time Attack Series HERE. 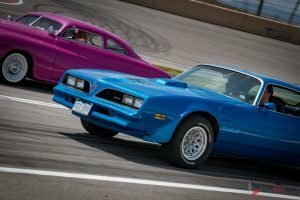 Street car and motorcycle only drag racing at PPIR for just 25 bucks to race! The events will feature a drag racing christmas tree light system, displayed strip times and a ton of fun! Street legal cars and motorcycles with DOT tires are welcome and your car or bike must drive to the track to be able to race, vehicles towed in on a trailer will not be permitted to run. 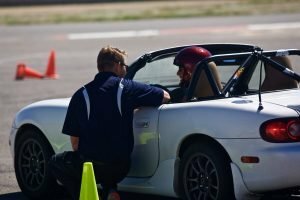 PPIR’s Performance Driving Xperience offers open lapping and track day training programs for drivers of all levels. 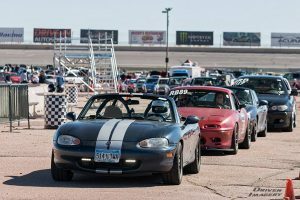 Whether you are a seasoned racer, or are completely new to track driving and curious what your car is capable of in a safe and controlled environment—the Performance Driving Xperience has a program designed for you!